Welcome to ControlChips - Cybernetic Micro Systems' online catalog of special purpose control ICs. 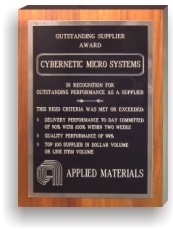 Since 1977, Cybernetic Micro Systems has produced a unique lineup of Application Specific ICs to interface to a variety of peripherals that would be difficult to control from a general purpose computer. These award winning chips provide a high-level interface to the low-level functions of the peripheral, thus allowing designers to more effectively apply themselves to the overall engineering of the product. be based on whole-tube quantities.